I remember back in my day, when I had free time, parents used to lock us outside of the house and wouldn’t let us in ‘till the sun went down. Today, many kids like to devote free time to their phones and computers, and much of the time it seems they – and many adults – are playing a game called Minecraft. Whatever your opinion of kids playing games on devices, Minecraft is not an ordinary computer game. Playing Minecraft is all about creativity – there are no set goals or objectives, so players have a great deal of freedom in how they play and what they set about to accomplish. In the game, they explore an environment and gather resources, and from those resources build structures and alter the environment, create tools, and strategize ways to survive in the landscape. This open format is one reason the Microsoft game has sold almost 150 million copies, making it the second best-selling video game in history. But what keeps a wide range of ages playing in Minecraft’s cube-shaped universe? Under its simple, blocky appearance lies a game with enough sophistication and complexity to keep you and your kids learning for years, and even be used in classroom settings. Let’s have a look at what Minecraft is about, through six ways it helps players learn. A quick glance shows Minecraft’s most distinguishing characteristic: its entire world is composed of cube-shaped blocks. Everything in the Minecraft universe, from characters, to grass, to trees, and even the air itself, is made of blocks. The cube shape makes it easy to stack and build, and Minecraft gives you an unlimited number of blocks to build with. That means creation is limited only by imagination. Dig a mine, build a house, start a farm, build a zoo, build castles and sprawling cities, build civilizations in the clouds, transform the landscape with lava and water. Minecraft is a canvas and players can paint using whatever their imagination generates. As your character overcomes obstacles and establishes a virtual foothold in the untamed land, possibly fighting off potentially hostile beings, he or she will need to find and gather the resources needed. Players learn attention to surroundings and focus as they establish their character in the landscape. Players create tools, gather wood and stone, build structures, grow food, or whatever else will sustain their character. 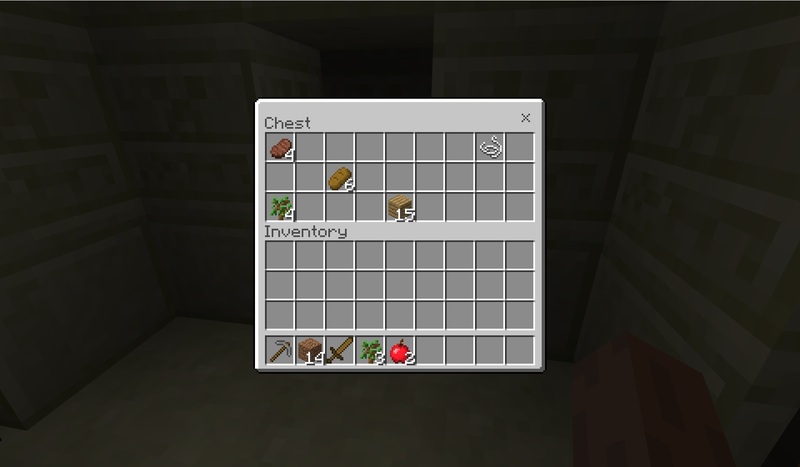 And they manage these materials in Inventories and Chests, as in the image below. There they track foodstuffs, building materials, armor, tools, and other resources they either carry or store. As in real life, what they do must be accomplished with resources available, and while the Minecraft world is infinite, the amount of resources nearby is not. So as kids play, they learn sustainability, resource management and planning. It isn’t just the kids who are excited about the game – schools love Minecraft too! 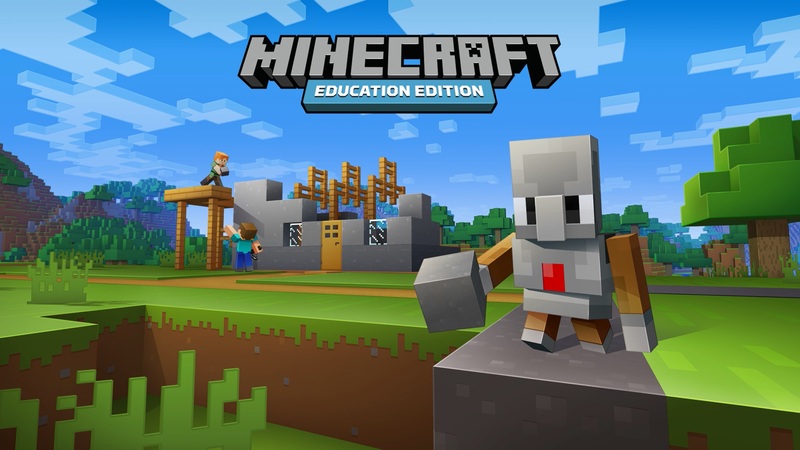 The Minecraft: Education Edition version of the game has pre-made lesson plans for teachers in 25 subjects, from business to math to government to geography to history to poetry, for pre-school through high school. For example, in one lesson, students collaborate to survive in a plane crash scenario based on a book they study in class. In another, students investigate a possible animal trafficking crime at a shipping port. Or they could build a roller coaster, to study the concept and effects of slope. If you’re a teacher interested in using Minecraft as a teaching tool, more information can be found here. Players well beyond counting and colors will eventually encounter Redstone, a powerful resource in Minecraft that allows one to send signals to mechanisms within the game. For example, Redstone can connect two switches so that lights turn on when the switches are flipped (as in the picture below, on the left), but if one (or none) are flipped, the lights turn off (as on the right). This is known as an AND Gate, and it’s possible because Redstone is based on logic gates, a concept used in both computer programming and electrical wiring. Sound complicated? It might be, but Minecraft helps make it visual, and easy to investigate by experimentation. That first time you flip the lever and your Redstone mechanism does exactly what you intend it to, feels like magic. That magical feeling can sometimes lead to pursuing engineering as a career. 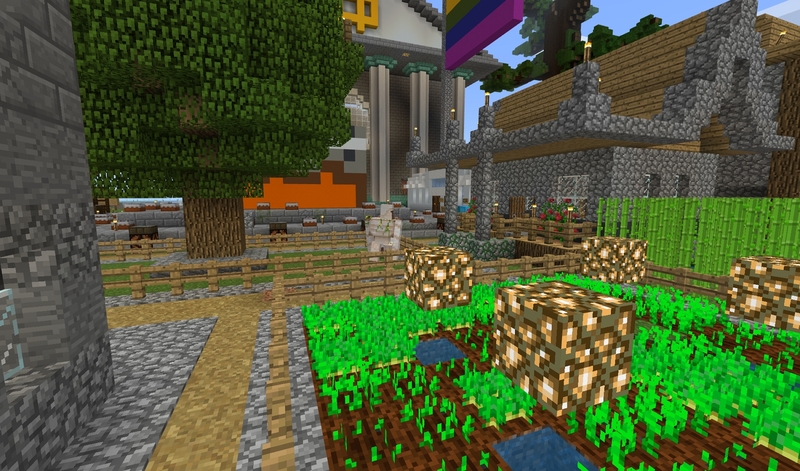 Minecraft can be played on an individual basis, but it’s also popular as a multiple-player game, in which several players engage and interact in the same game “world”. The players don’t have to be in the same room, or even the same country. It’s a way for players to collaborate and interact – even those who are shy often break out of their shells to show off the world they’ve meticulously crafted and explored. Playing together helps teach teamwork, patience and good sportsmanship. Additionally, kids go to school or friends’ houses and almost inevitably interact with other kids who similarly love this game. Having something in common with others makes it easier for children to develop critical social skills. 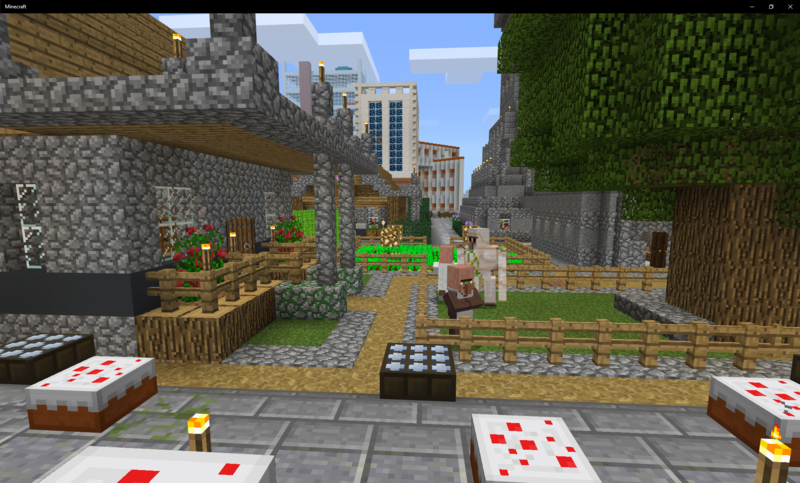 While you might have thought Minecraft was a game for children, you may even find yourself spending some time playing. What may start as helping a young player with simple tasks could eventually become a fun way to unwind after work and spend time with your child. The great news is that Minecraft is optimized to run on Windows 10 devices as well as Xbox, so unlike other games that may require more powerful hardware, Minecraft can be played on a phone, tablet, PC or Xbox, or even a Nintendo Switch. Not only that, but the Xbox, Windows 10, and phone versions are all capable of playing together in the same game. So, no matter what devices you have, you can drop in and give the kids a few pointers on that barn they’re making – or they can help you with yours. Whether it be a toddler occupied with a tablet or a teenager bringing life to their imagination, there’s a lot to be learned from playing Minecraft. If you’re interested in playing the game, more information can be found at Minecraft.net. For those that already have the game but need a little assistance playing it, they have a great guide for first-time players. Good luck out there and remember the first rule of Minecraft: Never dig straight down!